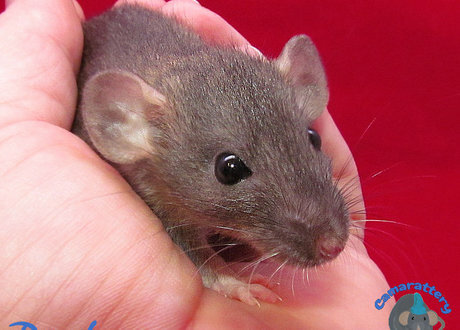 The history of dwarf rats is extremely important. 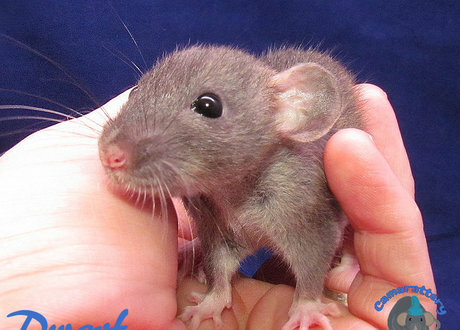 And you should get to know it if you are looking to breed or adopt dwarf rats. The reason its so important is because of the severe difference in quality of the lines in existence today. 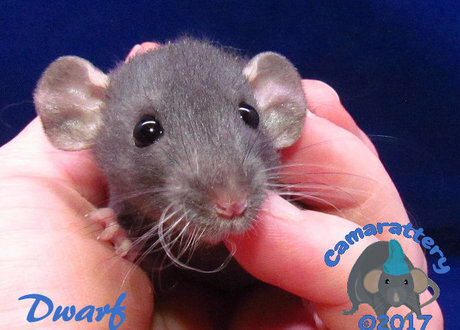 The 1st dwarf were taken from a lab by lil rug rats rattery. She gave them to 3 breeders, one was OFR, (no longer breeding), RRLM, (who bred them to everything and shipped them everywhere and didn't track health) and to PNS. PNS stopped breeding and ALL her dwarf went to me. I am the only person who got them according to her. As we are the 3 originators of the gene. 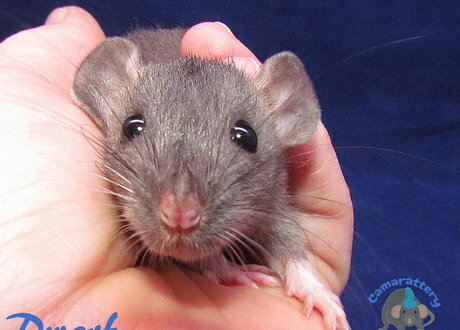 OFR dwarf lines are far and few between and if they are pure OFR are great rats. 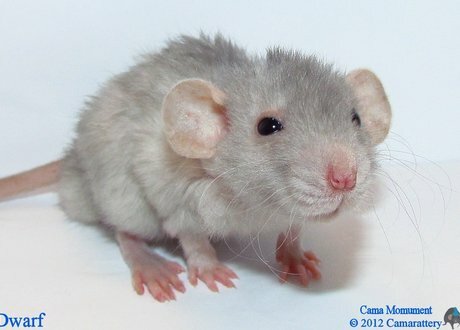 I personally love OFR rats! RRLM are what they are.... and mine are still going strong and known to be the strong, robust and the longest lived. I have not mixed mine with the other 2 lines. If you want to get good dwarf, I am the only person who has them, and who can track their humble beginning. 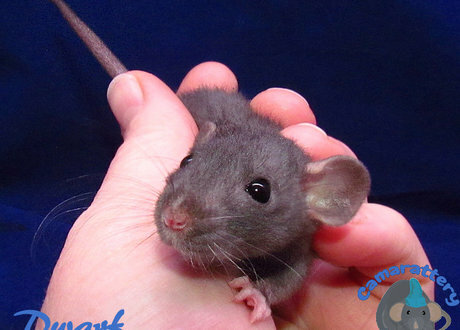 I have bred dwarf into every color and marking I breed for. So I can offer a wide variety of colors and patterns. 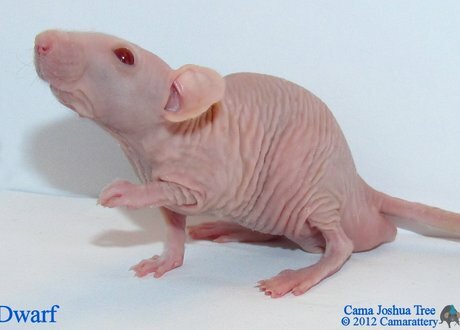 Including the rare hairless dwarf. only rare because no one breeds for them. 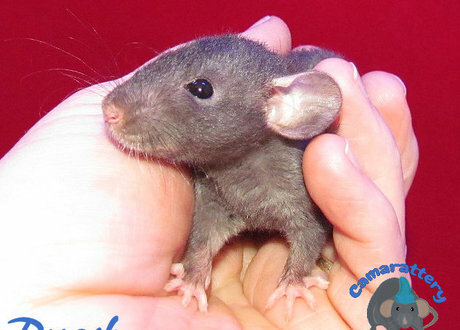 You should also research dwarf before getting them And do not assume they are just small versions of standard rats with no differences, this would be severely incorrect. They are nothing like the standard guys. 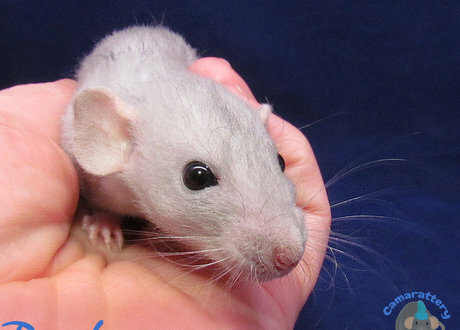 1st of all they will killed if added with standard rats who don't know what dwarf are and they are not mellow at all until they reach close to a year old. 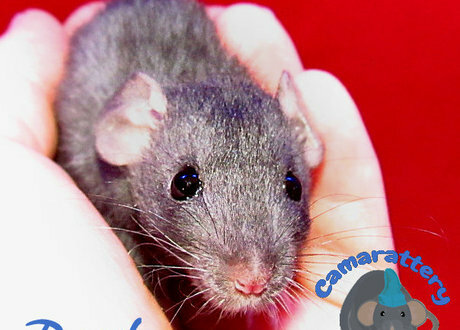 Before that they scare easily, aren't confident and can and will get frightened, run and jump away. And they wont forget what you did to them. So they need an older quieter calmer adopter. Not hyper or loud kids. After the year they mellow right out and act like a standard. If you raised them right. 3rdly dwarf are very energetic. And even though RRLM says you can put them in a habitrail, you cannot. They in fact need a larger cage than the standards if anything. They need more room. Not less. So do not take advise that says otherwise. 4th, there are many rumors about their health that just aren't true. 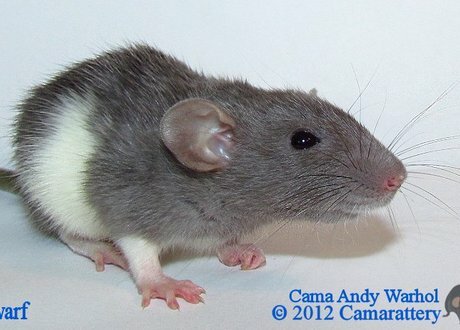 They are not different than standard rats in this aspect. But they will have the same health issues as the standard line you bred them too. Or they will have the same strength as the standards you bred them to. However they do not have a whole separate set of health problems. 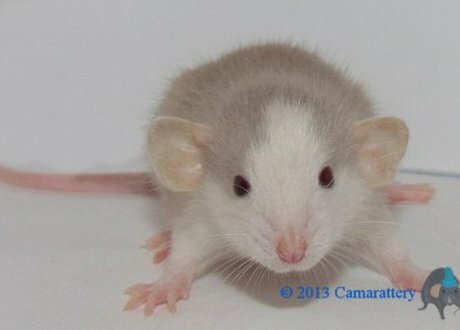 Dwarf are going to be what you bred them to be. My line happens to be beefier and larger boned because my standards are. So they have normal healthy type. RRLM are small and fragile. 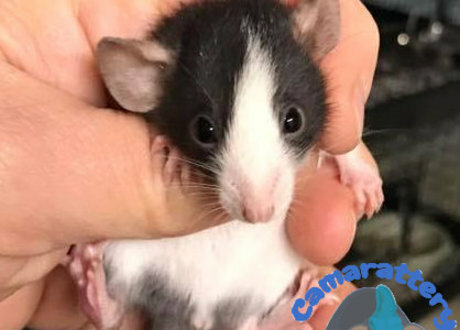 Because of these reasons you need to be a veteran rat owner if you want to keep dwarf rats as pets. 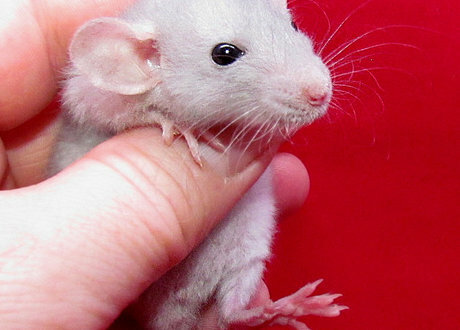 They are not for people new to rats because they do not know how to hold and handle a rat. 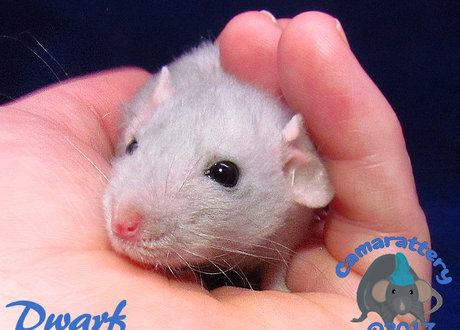 The true differences about dwarf are that they have shorter tails and feet in proportion to their bodies. And larger eyes in proportion to their heads than standards. 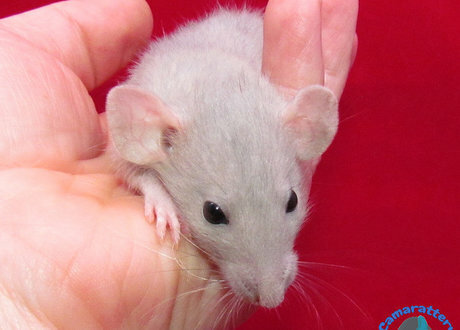 And they cannot be bred before 6 months old on the females. They aren't fully developed before that. Also a quick edit: All of the Dwarf out of Canada are mine. Bobbi Joe came to my house and adopted them from me on a non breeding contract. And bred them anyway. And freely admits she did it. So if you get them from Canada, that is the situation.